4. When you have completed your Wishlist, comment underneath the “Pin it to Win it” image here: http://pinterest.com/pin/41799102763029003/ – with the link to your Wishlist Board! 4. When you have completed your Wishlist, comment underneath the “Pin it to Win it” image here: http://pinterest.com/pin/417779302902581264/ – with the link to your Wishlist Board! 4. When you have completed your Wishlist, comment underneath the “Pin it to Win it” image here: http://pinterest.com/pin/424886546064443691/ – with the link to your Wishlist Board! 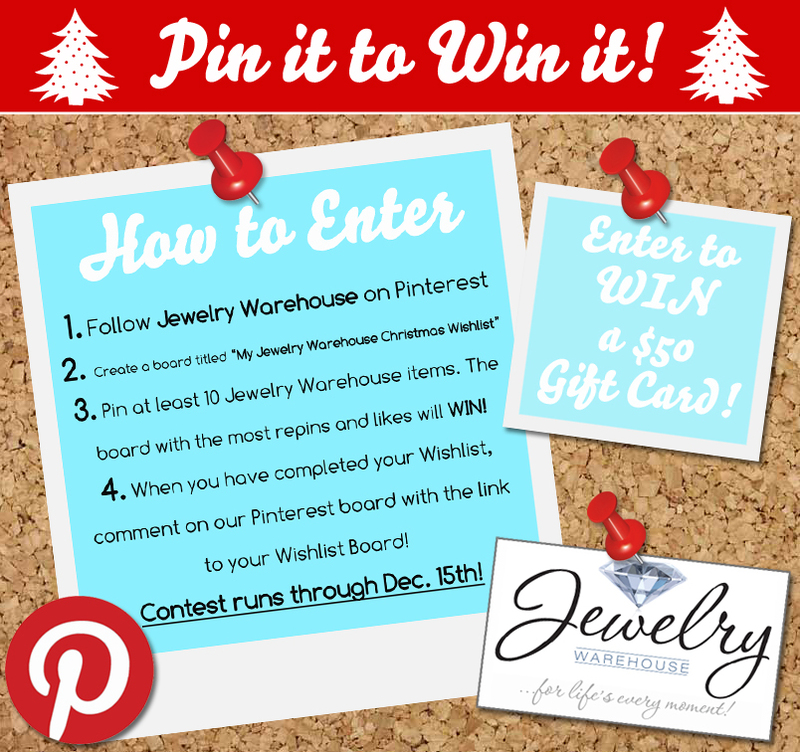 Contest runs through Dec. 15th! Good luck! This entry was posted in Contests, Jewelry, Jewelry News, Jewelry Trends and tagged contest, pin it to win it, pinterest, pinterest contest. Bookmark the permalink.